The trend in customer service has revolved around artificial intelligence, and this sophisticated technology is predicted to take over 85% of customer service by 2020 (Forbes.com). This sophisticated technology has been trusted by various organizations to take their customer service experience to the next level. In this article, we will delve into how AI works into the customer service system and how it addresses the common pain points in this department. Advancement in business technology shows no signs of slowing down as it continues to come up with innovation after innovation to improve various aspects of business operations. More and more organizations have employed the use of modern technology to achieve a simplified, faster, and foolproof workflow. Back office processes, however, are not the only ones getting constant updates; the business’ frontliner—the customer service system—is also receiving much-needed tools. Different ways to automate customer service have been developed to address the increasing expectations for fast and quality service. Machine learning tools like AI chatbot software can now take charge of customer interaction with almost human-like precision. This benefit addresses the overload of inquiries customer service gets on a daily basis. With AI bots taking care of concerns such as updating profile information and basic troubleshooting, their human counterpart now have more time to deal with urgent issues AI assistants are not “yet” equipped to handle. Artificial intelligence or AI is not really new in both concept and execution; an effective AI-powered customer service, however, has remained to be a diamond in the rough until recent years. The birth of AI support bot changes the game as it has become the go-to channel of customers who need fast and reliable answers. 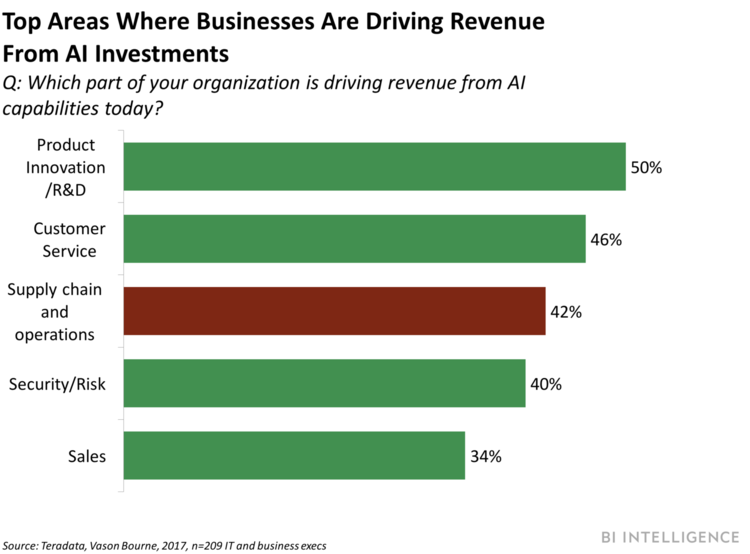 For businesses, artificial intelligence has played a significant role in driving revenue. How AI Works in Customer Service? What is AI chatbot assistant? The popularity of customer support software only ramps up the competition among developers to build their own versions of better customer service AI. Just recently, Zoho introduced the latest addition to its software services called Zia. Zia is an AI-powered assistant for designed business and is now part of Zoho Desk. Like other chatbot software, Zia is a context-aware voice and chat assistant that can respond to customer concerns automatically by getting its answers from a knowledge base. This feature, however, is not only designed for directly handling customer inquiries but also for assisting the agents. Zia’s knowledge base intelligence also works in favor of customer support representatives. By analyzing the content of a ticket, Zia can suggest applicable responses that agents can readily use and send. You can see it in action yourself. Just easily sign up for Zoho Desk free trial here. With AI’s continuous development, the popularity of AI-powered assistants like Alexa, Google Assistant, and Siri have soared. Their ability to perform certain tasks has turned them into valuable parts of a human’s daily life. Going beyond responding to inquiries, Zia can also be trained to perform certain actions to assist customers. Whether it is for a customer trying to place an order by using the voice command, or another customer trying to replace an order, Zia can perform both and more upon request. The benefits of integrating AI software in customer service have gone beyond assisting and interacting with customers. AI assistants can now be equipped with tools for analytics that supply customer service teams with useful data for performance improvement or resolving internal problems. For instance, Zia can detect if there are irregularities in the customer service metric system. These anomalies, such as irregular ticket traffic, are immediately reported by Zia not only to the agents but also to the managers. Incorporating the intelligence in sentiment analysis software, Zia can also identify if a customer is satisfied or not with the assistance provided by the service team. By detecting the sentiments behind each ticket, customer service teams and managers will be able to dig deeper into the responses and figure out how to prevent negative sentiments from affecting the business and preventing the same issues from happening again. Higher-ups demand convenience when it comes to accessing data that might be critical to the business. In an automated customer service system, an AI-powered assistant can collect and organize relevant information decision-makers would want to see. Zia places all necessary information in a dashboard where leaders can see what is happening, and where they can dig deeper into a problem into order to make data-driven decisions. How do I automate my online business? The first step to automating your business is knowing what your organization needs and finding the software solutions that fit your requirements. For instance, customer service automation solutions offer different functions that can work to your advantage, such as chat with AI-powered software. 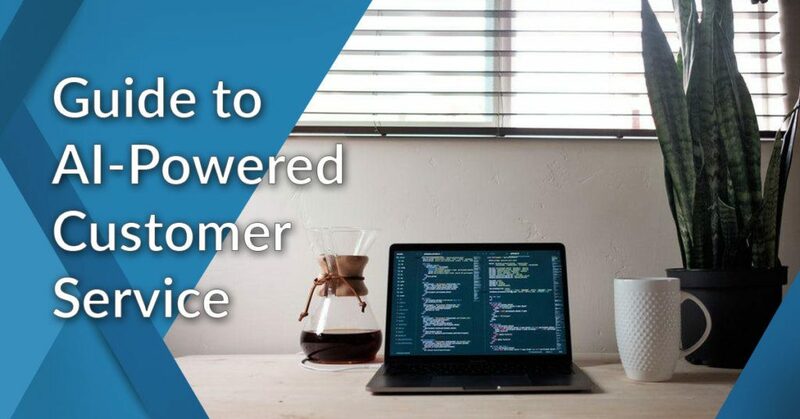 Incorporating artificial intelligence in your customer service system is getting more common, as more and more organizations realizing the benefits of integrating AI-powered customer service software with their communication channel. Zia, for instance, can be integrated with messaging, tickets, email, and even feedback page. But unlike other AI assistants, Zia can work across every department—sales, accounting, HR, etc. and not just in customer service. If you’d like to see Zoho Desk and its AI capabilities in action the vendor offers a great free trial. You can easily sign up for Zoho Desk free trial here.